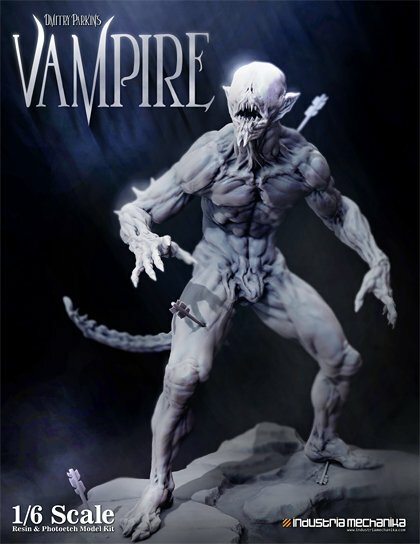 Wanted to show off the Dmitry Parkin Vampire kit that iMech will have available next month. It's a HUGE 1/6 scale piece done first in 3D then printed on a hi-res printer. THe detail is awesome. Check it out! How the h&ll do you model something like that in 3D? What kind of software will allow those sorts of non-geometric shapes? Not my cup of tea, but a wicked cool model and example of CAD modelling as well.